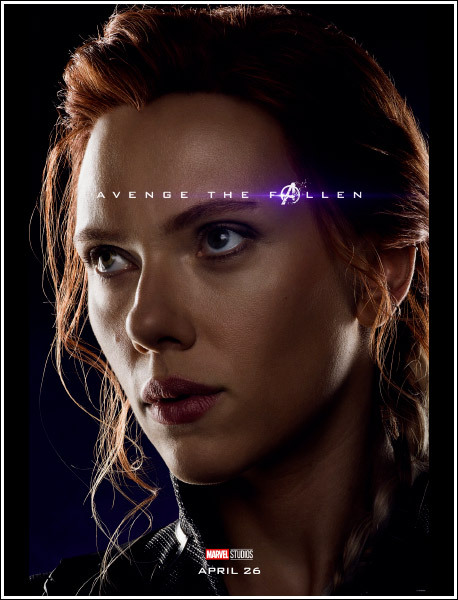 Popoholic » Blog Archive » Scarlett Johansson’s Black Widow Leads The Avengers: Endgame Character Posters! « Olivia Culpo Gives Us The Sexiest Booty Workout Of The Decade! Scarlett Johansson’s Black Widow Leads The Avengers: Endgame Character Posters! Here are a whole bunch of brand spanking new character posters for the upcoming Avengers: Endgame featuring all of the ladies that survived “the snap” (in color) and all of the unlucky ones that didn’t (in black and white) and led by the Black Widow herself, Scarlett Johansson, looking hotter than she ever has in the Marvel movies… wowzers! Brie Larson already looks like a badass Avenger, an it’s nice to see Tessa Thompson’s Valkyrie survived and that she’ll take part in the movie, but I’m shocked that the posters reveal Shuri from Black Panther didn’t make it. Booooooo! Oh well, the movie is still going to rock. Can’t wait! Enjoy! This entry was posted on Friday, March 29th, 2019 at 12:10 am	and is filed under Brie Larson, Elizabeth Olsen, Scarlett Johansson. You can follow any responses to this entry through the feed. You can skip to the end and leave a response. Pinging is currently not allowed.